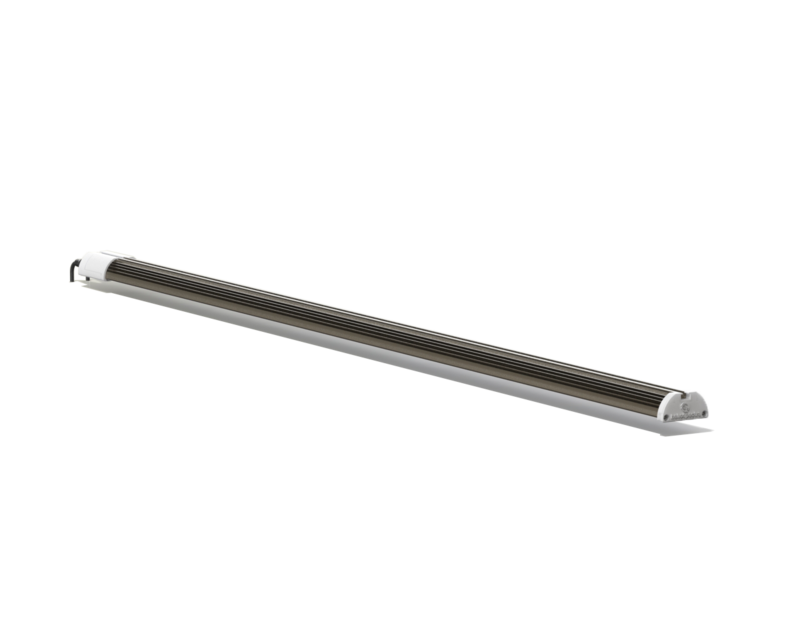 Heliospectra's new SIERA light bar takes an application based approach to vertical farming, resulting in repeatable and predictable results and a high-quality crop. The five initial spectrum variants will promote propagation, grafting/healing, cloning, full indoor sole source growth and different types of treatment lights. Allowing growers to set up new vertical farming and urban farming installations or optimize already existing operations by introducing vertical farming to parts of the operation that make sense for them. 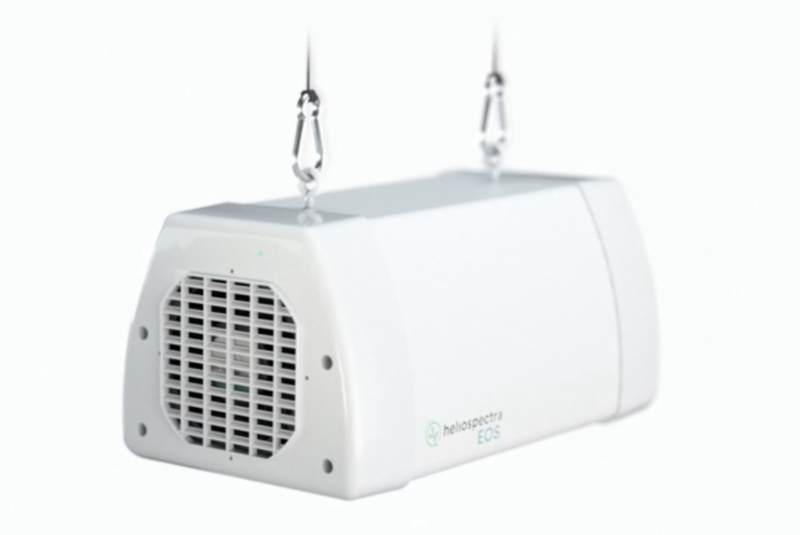 Heliospectra’s helioCORE™ light control system combines hardware, software and sensors to fully automate your lighting environment, and enable businesses to reliably forecast yields, control consistency of operations and crop quality, and achieve negotiation advantages in the marketplace. 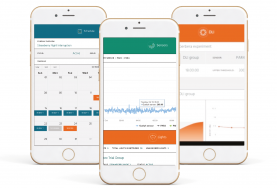 helioCORE comes with three avaliable control modules – Schedule Controller, DLI Controller and On Target Controller – and includes functions such manual light settings, light grouping, monitoring and notifications. Growers can chose all three modules or just one based on environment, application and cultivation goals - you just pay for what you need! The most advanced LED grow light for commercial crop production. ELIXIA is an essential tool for growers in their goal to supply end consumers with healthy, high-quality plants. You can intelligently adapt lighting to the needs of plants and your production forecasts with real-time spectrum regulation and intensity adjustments. 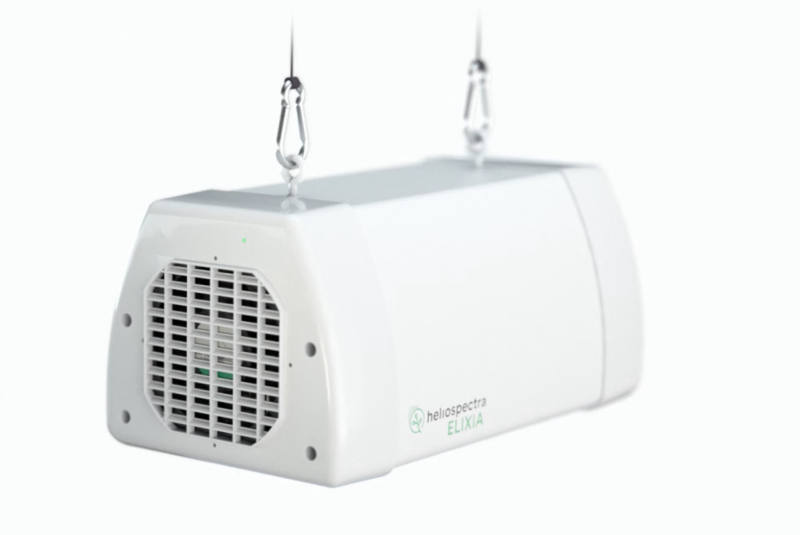 ELIXIA is a solution for both greenhouse top-lighting and indoor sole-source applications. EOS is a fixed spectrum, high intensity LED grow light fixture, developed in collaboration with some of the world’s leading greenhouse growers. The plug-and-play nature provides instant, intense light. Designed to handle the harsh conditions of a greenhouse and indoor environments, EOS delivers optimized fixed spectrum and light quality year-round. 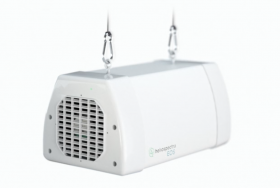 Heliospectra specializes in intelligent lighting technology for greenhouse growers. All our products are made in Sweden in connection with some of the world’s leading greenhouse growers. We use only the highest quality components to provide robust lighting technology that is simple to use and easy to maintain. We provide growers with high quality, energy efficient light for year round crop production and a healthier bottom line.